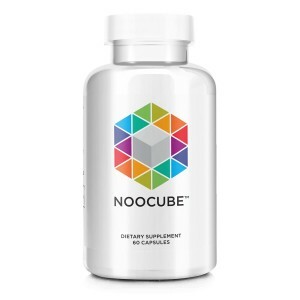 Noocube is a completely natural supplement designed to improve the cognitive functioning ability of your brain. Noocube boasts effects from heightened alertness and greater mental energy to better memory and a sharper mind. By supplying the brain with important building blocks such as vitamins and amino acids the brain is able to function at a powerful, more effective rate. Noocube uses plant based or plant derived nootropics (also known as ‘smart drugs’ or ‘intelligence boosters’). Nootropics influence neurotransmitters in the brain, for a positive mental enhancing effect. Neurotransmitters are simply just the chemical messengers in the brain; they carry and deliver all sorts of information. They provide your brain with signals telling it what to do in the body, such as making your heart beat to telling your stomach to digest food, but they also provide the signals for cognitive functioning too, such as mood and concentration. There exists an optimal range for these neurotransmitters to function at, but factors such as diet and stress often cause these to work at a suboptimal level. Supporting the brain with the synergistic blend of nootropics found in Noocube helps to overcome this suboptimal imbalance. Alpha GPC – Alpha GPC is a particular neurotransmitter responsible for the learning capacity of the brain. 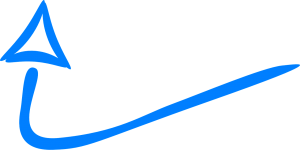 Traits such as memory and concentration are affected by the performance of this neurotransmitter. Supporting this chemical messenger can have positive effects on the learning capabilities of the brain. Alpha GPC has also been shown in studies to improve the cognitive functioning ability of patients with Alzheimer’s and dementia. Huperzine – A This plant extract works to inhibit a certain chemical in the brain (AChE). This chemical (AChE) is responsible for breaking down the aforementioned learning neurotransmitter, Alpha GPC, which you want to avoid. By inhibiting the release of this chemical, Huperzine A effectively stops the breakdown of Alpha GPC, meaning higher levels of this learning neurotransmitter are active in the brain. Greater levels of Alpha GPC naturally leads to enhanced mental features of memory, clarity, and concentration. Cat’s Claw – The antioxidants found in Cat’s Claw work to repair cell damage and neutralize damaging oxidative stress that cells suffer on a daily basis. Environmental toxins often damage DNA structures within cells, particularly if we have a lack of antioxidants readily available to protect and repair them. Preventing and repairing DNA damage within cells is vitally important to preventing memory loss and cognitive decline. Bacopa Compounds found within this Indian herb support communication between neurons in the brain. Working as a protective agent for both neurons and nerves in the brain, this is a crucially important compound for optimal brain functioning. Studies have shown this to have a significant improvement on memory retention in adults. Oat Straw – Traditionally regarded as a brain enhancer in folk medicine, studies have shown Oat straw to improve task speeds and memory recall. This ingredient supposedly increases brain waves that are most active during wakefulness, leaving you more alert and focused. 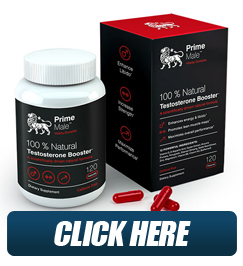 L-Theanine & L-Tyrosine – These amino acids play a role in stimulating neurotransmitters in the brain such as dopamine, the ‘happy hormone’ and noradrenaline. In combination, these amino acids are able to balance alertness and focus whilst reducing feelings of stress. You can find the latest Noocube testimonials here. Noocube is 100% natural, plant-derived supplement. Noocube’s formula is supported by many studies and uses the only premium, clinically backed ingredients for safety. Noocube website lists a whole range of references and cites studies supporting their findings in nootropics. Noocube offers free worldwide shipping at the official website. Shipping to Australia is fast and discreet. Noocube offers a 60-day money back guarantee for your satisfaction. Simply contact their customer service team and return any unused bottles within 67 days of receiving your order.